Ready to get drawn into fierce battles? 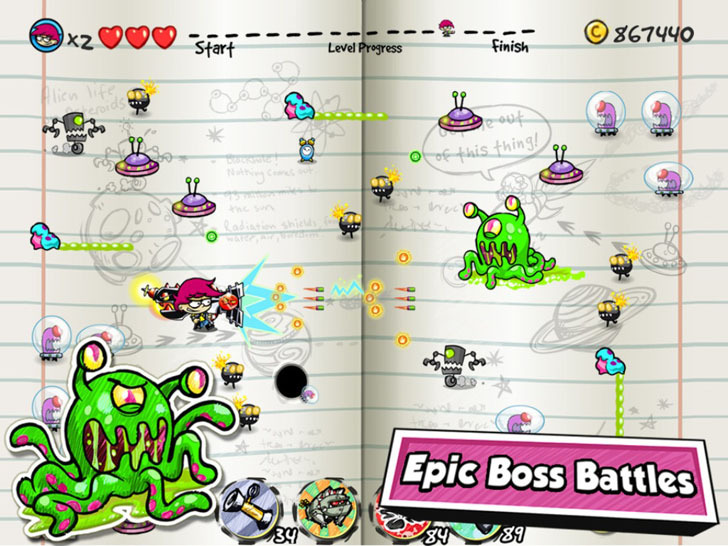 Join your fearsome do-gooders and rid the world of evil in Nicks awesome app Scribble Hero! It's an action packed adventure held with your very own notebook! Face off with evil doodles, monsters and epic bosses throughout different worlds! Use an arsenal of weapons and collect upgrades on your journey!